Journalling is an important tool for overall health and mental wellness. I’ve kept a journal – in some form or another – for as long as I can remember. While the content has changed drastically over the years, the impact of putting pen to paper remains the same. My very first diary was covered in bubble hearts and had a flimsy lock on it. My second diary also had a lock but the hearts were replaced with Johnny Depp in character as Tom Hanson on 21 Jumpstreet. Though my crush on Johnny has long since faded, the need I have to journal has not. Penning my thoughts and experiences is very little about recording events and more about exploring how they resonate in my life. At times I like to write about achievements, goals, and exciting milestones I reach. Most of the time, however, the motivation lies in deepening my understanding of myself and my own story. Keeping a journal can be equal parts fascinating and cringe-worthy. I often look back on entries I wrote years earlier, long before the evolution of my emotional intelligence to its current state, and find it hard to believe the things I felt at certain moments. Hindsight is always 20/20 and magnified more deeply when read from a book. The fear of re-examining our thoughts shouldn’t stop us from journaling. If anything, it should encourage us! There are some pretty incredible (and surprising!) benefits of keeping a journal. My own entries in recent months have been focused on healing. Expressive writing is a route to healing — emotionally, physically, and psychologically. Dr. James Pennebaker, author of Writing to Heal has seen improved immune function in participants of writing exercises. Stress often comes from emotional blockages, and overthinking hypotheticals. He explains, “When we translate an experience into language we essentially make the experience graspable.” And in doing so, you free yourself from mentally being tangled in traumas. Studies have also shown that the emotional release from journaling lowers anxiety, stress, and induces better sleep. Since I began working through past hurts with a counsellor last year, I’ve made what I feel is pretty significant progress. Not every appointment with her is triumphant; at times it feels like a wasted effort. Most appointments support me in growing, and other times I have what’s known as a “breakthrough.” However, it’s not uncommon for me to go from my counsellor’s office to home and then immerse myself in making dinner, preparing lunch, putting on laundry, and spending time with my family. Before I know it, I’ve forgotten 90% of what she and I discussed in that hour. If I set aside a bit of time after a session to reflect on what we discussed and what I learned, and then solidify it by writing it down, I’m doing myself a huge service. The process reaffirms my beliefs and understanding while allowing me to recall fact (rather than the fiction that anxiety likes to weigh me down with). Taking just a few moments every few days to “flex our brains” is just as effective as exercise on our bodies. 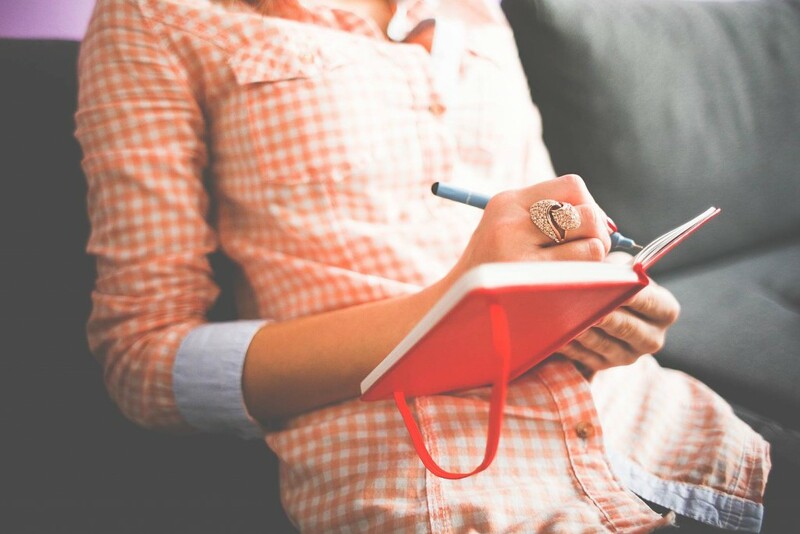 Is journaling a healthy habit you’ve developed? How do you feel it benefits your life? Let me know in the comments below! May 2 – 8, 2016 is Mental Health Week in Canada. Learn more by visiting the CMHA’s website.